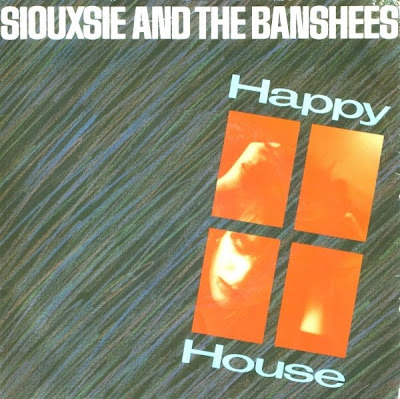 "Happy House" was the first single Siouxsie & The Banshees released from their third album 'Kaleidoscope'. It was released in March in 1980, and became their second top 20 hit in the UK. The songs intorduction was sampled by Italian dance act Cappella in their song "U got to Know" during the 90's when Cappella was sued by the band and lost. The original celebrates the 30 years anniversary.